The revered chef's method is all about emphasizing the flavor of food, but it's so much more. Taking savory little bites of vegetables is much more satisfying than big meaty mouthfuls. it allows us to savor steak, roasted chicken, or fried fish fillet when we indulge. It is healthy sustainable, and economical. 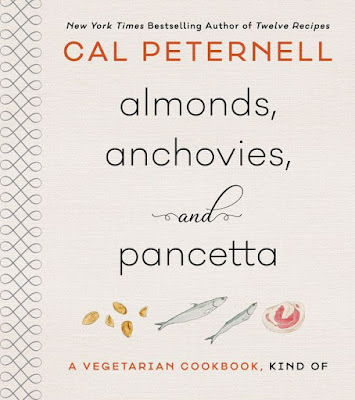 Peternell says of this cookbook being "kind of" vegetarian, "My refrigerator is often full of vegetables, salad greens, and herbs, and often we eat just that, but there's almost always some bacon or pancetta in there too, as well as a couple of cans of anchovies and a bottle of fish sauce in my cabinets. Provisioned like this, I can make delicious salads and vegetable-centered meals made extra-savory with little doses of cured pork or fish, or, if we're feeling vegetarian, toasted almonds. And when the produce runs out we can throw something together from the pantry (think: toasts with olive oil and dukkah, toasts with anchoiade and eggs, pasta alla gricia, pasta alla tuna-nesca...)"
On why these three ingredients -almonds, anchovies, and pancetta - are so good at adding depth of flavor, Peternell says, "Salt, of course, is at the heart of the reason why, at least for anchovies and pancetta. But it's more than that. Anchovies and pancetta (and their kin: fish sauce, katsuobushi, dried shrimp and bacon, lardo, prosciutto) bring not just salt but a concentration of time - the time it took to salt or smoke or ferment them is revealed through flavor. Almonds too bring a sweet and toasty depth of flavor and, because they are not as salty as their animal mates, can be deployed with less restraint." 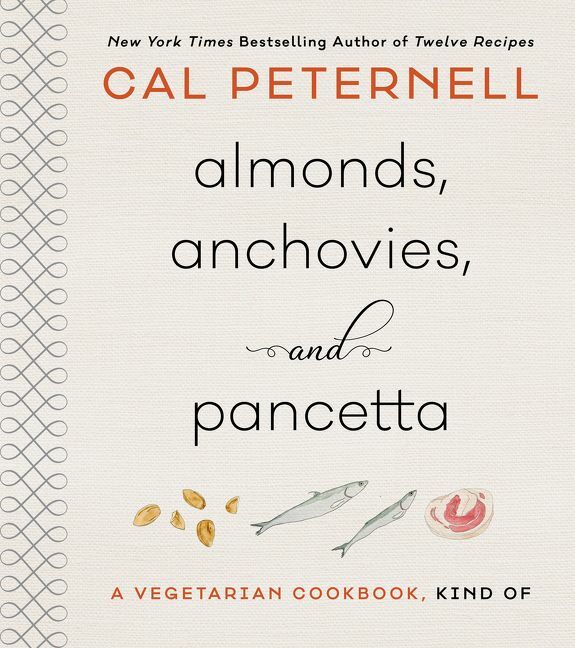 Peternell has said that nuts are the meat of the plant world, and he says of choosing almonds for these recipes, "Nuts deliver fat content that is comparable to bacon and pancetta, and though I love cooking with hazelnuts and walnuts too, I chose almonds for this book because they seem most versatile to me (also, they are shaped like our own eyes - perhaps why they figure so tastily in much mythology). Almonds act as a thickener when ground very finely, add crunch when roughly chopped, provide rustic heft when crushed for adding to cooked greens, and delicacy sliced and buttered with snap peas or green beans." 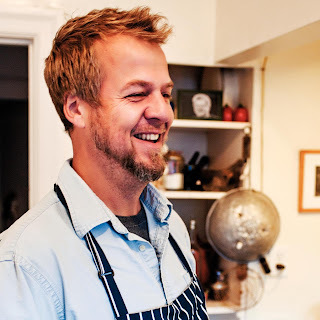 Peternell is also the author of the New York Times bestseller Twelve Recipes, which won an IACP Award; and A Recipe for Cooking.